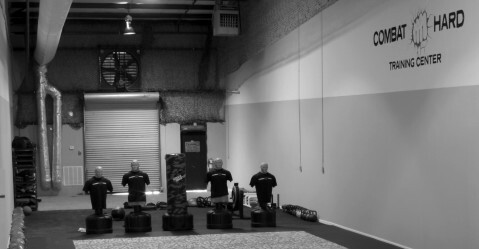 Combat Hard is affiliated with Nir Maman and CT 707 Israeli Special Forces Krav Maga. CT 707 is a training and consulting organization that specializes exclusively in the subject matters of Krav Maga, Tactical Weapons Manipulation and Shooting, Active Shooter Intervention, and Counter Terror Warfare for Operational Military and Police Units. Unlike many other Tactical systems out there, CT 707’s tactical methodologies are based on combat proven platforms deployed and refined in the most targeted volatile region in the world. These methods are guaranteed to drastically enhance the tactical engagement and combat performance capabilities of individual Operators/Police Officers and operational units. These tactical methodologies will also help reduce an Operator or Police Officer’s possibility of causing collateral damage during violent deadly force engagements in public areas. CT 707 is spearheaded by Nir Maman, a former Section Commander, Lead Counter Terror and Krav Maga Instructor, and Operational Team Leader on the Israeli Special Forces Counter Terror Unit and Counter Terror and Special Operations School. Nir’s professional background spans over 15 years and encompasses service in Military Special Forces, Policing, High Risk Security, and Dignitary Protection. During his service in the Israeli Special Forces Counter Terror Unit and Counter Terror School, Nir was in charge of developing and delivering training programs for Special Forces Units from various countries around the world, including the United States. These units attend the Israeli Special Forces Counter Terror School for advanced Counter Terror Warfare, Tactical Shooting and Krav Maga before deploying to high risk environments such as Iraq or Afghanistan. CT 707 is backed by an advisory board of respected experts in the fields of Military Special Operations, Police Tactical Operations and Use of Force instruction, Legal counsel from various fields of law practice, Medical experts from various fields of medicine, and Psychology experts from various fields of mental and emotional sciences as they relate to combat. Nir served in one of the most elite units in the Israeli Special Forces, the Central Command Counter-Terror Unit (C.T.U.) and the Special Forces Counter-Terror and Special Operations School(C.T.S.O). During his service he held several positions including Commander of the Counter-Terror School’s International Training Section where he was responsible for developing and delivering specialized Counter-Terror, Hostage Rescue, and Krav Maga training to Special Forces Units from various countries around the world including the United States (Delta Force, Army Special Forces, Marines Special Operations Command, Rangers and Asymmetrical Warfare Group), that attend the Israeli Special Forces Counter-Terror and Special Operations School in preparation for high risk deployments such as Iraq and Afghanistan. He held the position of Lead Counter-Terror Instructor on the Counter-Terror School’s Designated Hostage Rescue Take-Over Units Instruction Team. In this role he was responsible for training new recruits and active operational members of the Israeli Special Force’s Designated Hostage Rescue Units in all areas of Counter-Terror warfare and Hostage Rescue including Hostage Rescue Operations in domestic and hostile/foreign environments, Close-Quarters-Combat, Dynamic Entry, Aircraft, Ship, Train, and Bus Interdiction, Suicide Bomber Interception, Urban Warfare, Tactical Shooting, and Krav Maga. Nir was assigned to the C.T.S.O. School’s Chief Instruction and Research and Development Section where he was responsible for developing Counter-Terror tactics and Tactical Training Protocols that are currently taught to all Israeli Special Forces Units. His duties in this section also included training the Counter-Terror and Special Operations School’s instructors in Counter-Terror Warfare, Tactical Shooting, and Krav Maga. He also held the position of Operational Team Leader on the Central Command Counter-Terror and Hostage Rescue Unit during high risk deployments which included Direct Action Operations, Active Shooter Interventions, Arrests of high threat terrorists, and high risk entry and searches throughout the West Bank and Gaza Strip regions. In January 2009, Nir participated operationally in ‘Operation Cast Lead’ (the Gaza war). In April 2009 Nir was awarded the Israeli Defense Force Ground Forces Command Soldier of the Year Award of Excellence for his service in developing Counter-Terror tactics for the Israeli Special Forces and for excellent service in commanding the Counter-Terror School’s International Training Section. Nir is also a certified Police Tactical Operations and Use of Force Instructor through the Atlantic Police Academy in Prince Edward Island Canada where he was a sworn Police Constable working as a Tactical and Use of Force Instructor. Another of Nir’s areas of expertise is Close Protection. He was responsible for organizing and deploying Close Protection details for dignitaries and representatives of the Israeli Government while they were in Canada engaged in political functions. Nir has 30 years of extensive Martial Arts and Unarmed Combat experience in Israeli Krav Maga, Jeet Kune Do, WTF Tae Kwon Do, and Hap Ki Do. Currently, Nir is an operational member on a Nuclear Tactical Unit as well as a Sworn Peace Officer for the Province of Ontario on a Judicial Enforcement Agency. He continues to deliver Counter-Terror, Active Shooter Intervention, Tactical Shooting, and Krav Maga training to Police and Military organizations around the world.